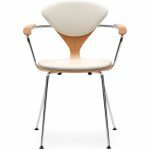 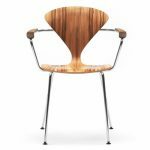 An elegant alternative to the wood base chair, this chair is perfect for both casual and formal settings due to the curves of the molded plywood shell, the slender lines of the bright chrome and its overall elegant design. 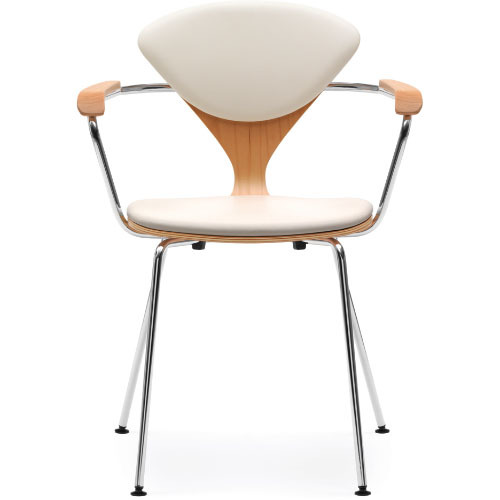 It is stackable, strong and lightweight and is available with upholstered pads. 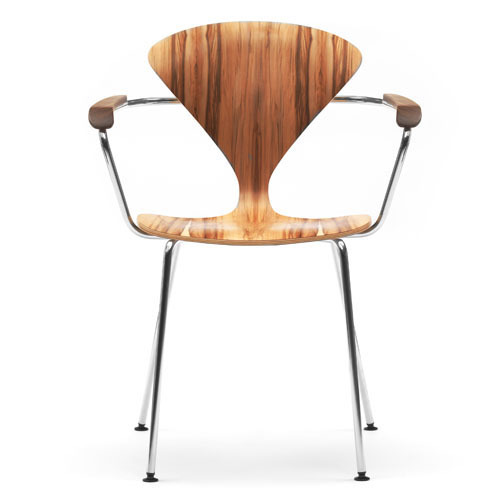 A one piece bright chrome arm with solid wood armrests is another option with this chair.